In the spirit of the current election I thought this post seemed pretty apt, especially given the spirit of our blog. Everyone has probably learned about the suffragettes at one point or another throughout their education…but like most school curriculum, it tends to gloss over the actual enormity and sometimes less pleasant aspects of revolution. One such case involves a historical event–The Night of Terror (as it has come to be known)–that few people have ever actually heard about. 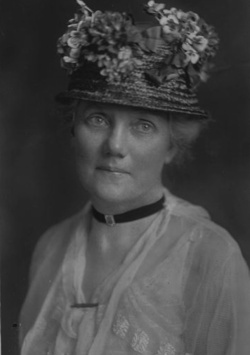 For the women of 1917, their political opinions were dictated to them, and the general idea behind their political duty was to be silent about everything except support for the troops and the Commander in Chief. As Woodrow Wilson took office in January, demonstrators took up positions outside the White House, holding protests 24/7 demanding the vote for women. In spite of the on-going world war, they refused to budge on this issue. 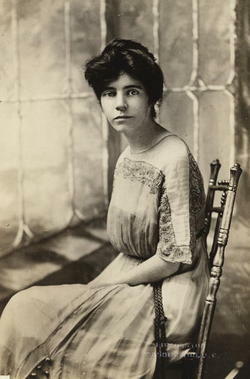 Instead, Alice Paul, Lucy Burns and other members of the National Woman’s Party aimed to humiliate the president and expose the hypocrisy of “making the world safe for democracy” when there was none at home. Their banners said, “Mr. President, how long must women wait for liberty.” They hung Wilson in effigy and burned copies of his speeches. Arrests began as early as June (usually with the bogus charge of “obstructing traffic”), and for weeks the protestors were given only one pail of water to share between them; their food was often rancid and full of worms. However, the violence came to a head on the night of November 14, 1917 when W.H. Whittaker, the head of the Occoquan Workhouse in Virginia particularly known for his cruelty decided to punish the protestors for what he deemed as their traitorous behavior. 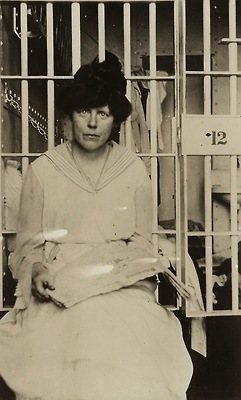 Alice Paul (left) attempted a huger strike due to the rancid food, but was instead tied to a cell chair and force fed with a tube down her throat. Lucy Burns (right) was beaten, then chained to her cell bars and left hanging for the night, barely able to breathe. The beatings made national news, and two weeks later, the protesters were released. (The DC Court of Appeals declared their punishment and arrests unconstitutional.) But it would take three more years for women to win the right to vote. No matter what you believe, I hope all women today will find time to exercise the hard-won right to vote.